A three-pointer, also known as a three-point field goal, is a shot or basket made from beyond the three-point line, which is worth three points. The distance from the basket to the three point line is 23 feet 9 inches in the NBA. Dropping a three-pointer from long range requires accurate shooting skills, and is no easy task. On 29th October of this year, Klay Thompson of the Golden State Warriors broke the record of most three-point field goals made in a single NBA game, against the Chicago Bulls. He scored 14 three-pointers in the game and broke the record which was previously held by his teammate Stephen Curry. Born 8 February 1990, Thompson went to Washington State University and was the leader in three-points and free throws percentage for his team. He was selected in the first round of the 2011 NBA draft by Golden State, with the 11th overall pick. In 2014, he and his teammate Curry set the NBA record for most combined three-pointers made in a season, with 484. That feat earned them the nickname the 'Splash Brothers'. In 2015, Thompson helped the Warriors to their first NBA Championship since 1975, and he was also a key contributor in the Warriors' 2017 and 2018 titles wins. He is considered to be an important piece of the Warriors' offense, and is also a strong defender due to his large size. Thompson is an elite shooter, known as a catch and shoot player, and utilizes space very well for accurate, quick shots. 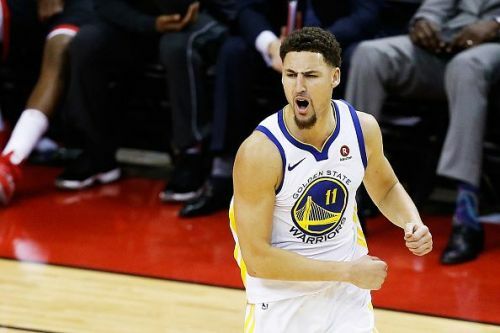 Thompson scored 10 three-pointers in the first half against the Bulls on 29th October, and the Warriors were leading the game by 92-50 at that point. 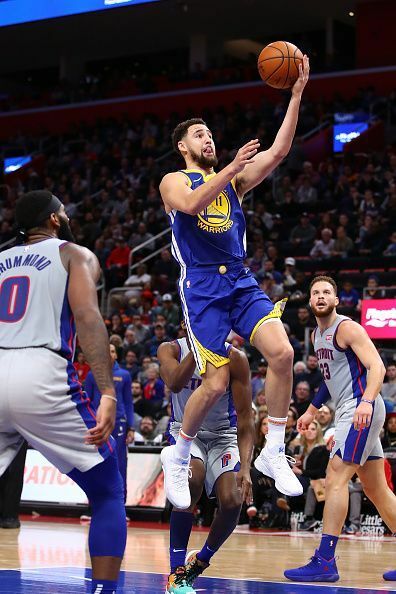 He broke the record with just under five minutes remaining in the third quarter (it was the other half of the Splash brothers who gave the assist to Thompson, which tied the record for 13 assists). The Warriors went on to win the game by the margin of 149-124. Thompson ended the game scoring 52 points in 27 minutes on the court. After the game he said, "It’s one of the best feelings in basketball when you touch the ball and feel like it’s going in every time." What makes this record even more impressive is that Thompson did not even play the fourth quarter of the game; he was taken out after breaking the record.